For a really long time I knew that I wanted a Dachshund. I've had dogs pretty much my whole life, but there was a yearning to have a "Weinerdog". 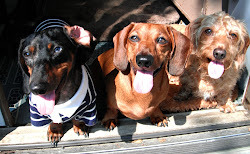 Forward to the early 1990's I was thinking about really getting a Dachshund, my Dad gave me a book giving great detail about dogs and choosing the right one for you. I had always had big dogs, Labradors, Doberman Pincher, Shepard mix and a Beagle when I was real young. After reading the book I decided that not only would I get a Dachshund but I would get a Wire haired Dachshund. Supposedly they had less dander than some other breeds since my husband did have an allergy to dogs. At the time we had a geriatric Labrador named Olive. She was mainly an outdoor dog. The new dog would be an indoor dog. 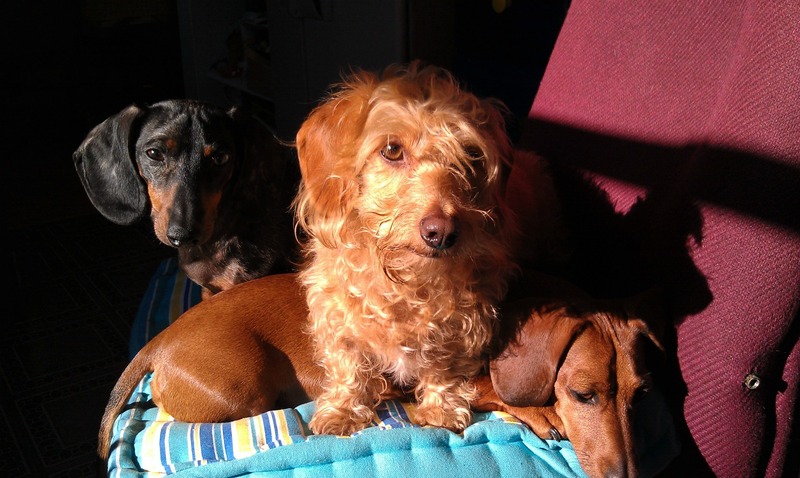 I'm not sure why but I love scruffy dogs and the Wirehair Dachshund is just that. I think in general men also look better with at least a moustache.My husband sports a beard and moustache, he disliked shaving anyway so it was a win win situation. 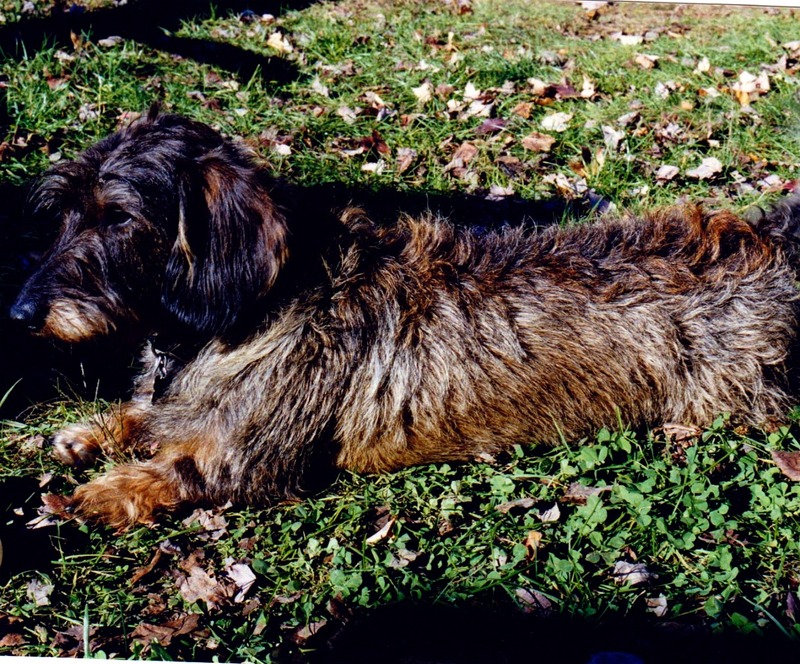 Anyway, I would get a Wire haired Dachshund and his name would be Watson. It seemed perfect a hunting dog named Watson, having been a long time fan of Sherlock Holmes, the character often sporting a moustache. It was still probably 2 years before it all happened but I did start to look for a breeder. In the meantime the internet became something we all go to when we have something we're looking for. I found a breeder within less than an hour away, she was having a couple of litters in the spring and I could be put on the list. The wait was excruciating, then the pups had to be 8 weeks old before we could pick one out. We were invited to come see the puppies probably about 4-5 weeks old to check them out. These were show dog quality dogs, they had the pups in two pens in the basement of the house. There was an outside entrance, the conditions were extremely clean, not even the smell of dog poop about. The two pens were full of puppies, one had 10 the other12. I put my hand down in the pen and they came alive like a frenzy, all climbing up my arm and trying to chew my watch off. They were so cool and so much fun. We sat and played and held a few of them and made an appointment for when we'd be back to pick out our pup.